It was a pleasure doing business with Alex at Ray Catena Audi Freehold. He had patience as we tried several cars (and had to move cars out of the show room several times) and took time explaining the difference between each. At no time did we feel pressure but only patience. We were always welcome by a friendly person upon our arrival and never had to wait. This for sure change our experience of car shopping for the better. We love our car! Thank you! Alex Mendoza was very professional and helpful in the original data gathering process and continued to be an asset to the dealership throughout the entire process and post sale follow-up with technical questions. In addition to the beautiful showroom, all of the employees are so friendly and helpful. Dealing with Steve and Rami was a pleasure. Definitely recommending Audi in Freehold to others. I had a tremendous experience with my new lease of a 2019 Q7. Rich told me to come down and he and Marc would take care of me. They did not disappoint! I would recommend Audi Freehold, Marc and Rich especially to anyone that would listen! Rich and his team at Audi Freehold helped us buy the car of our dreams! Along with the incredible assistance of Kiki, young car buyers like ourselves couldn't ask for better help. These guys know what they are talking about when it comes to car buying! Instead of giving customers the typical, "car sales pitch", Rich and his team provided us with helpful guidance, helped address questions regarding driver safety, and presented us with several different options to make us feel comfortable when it came to signing the papers. No matter the situation, the folks at Audi Freehold care about customers satisfaction, and from our experience, we learned firsthand they will have your back 100%! All aspects of the purchase were a pleasant experience. The dealership was super clean and as soon as I entered the door I was greeted. There were no issues in test driving as many models as I would like. The team was very helpful and fast with all their work! Nice place. Had my car serviced here recently 2016 m3. My service advisor Seth, and the people working here are very nice and friendly. Seth always kept me updated on what was going on, and they fixed the car quick, and did a good job. Great experience, and honest people! I highly recommend this place! Especially if you have an M car. This is the best dealership I have ever visited. The entire staff from reception to sales were professional and courteous. I bought my X3 with them and will continue to purchase in the future with Ray Catena BMW. I always have a great experience when I bring my vehicle to this service center. Jorge was very helpful during my last visit. He filled out all of my paperwork, went through all of the details, and made sure I had a ride back to work. As long as I am live in Westchester I will be bringing my BMW to this service center. Keep up the good work! Seth was always helpful and honest, but the quality of work from the service department was not up to par. Fixed an issue, another one came up. A friend recommended me to Guido Jimenez at BMW of Westchester and I could not be happier with the sales and delivery experience. Guido was professional, knowledgeable, a pleasure to business with and most important he was very responsive. I also met the manager Joe who was a good guy as well. I highly recommend this dealership for your next vehicle. Vinnie worked tirelessly to get us the QX60 we wanted. We had a bit of a snafu with the bank but Vinnie pulled us through and now we are riding pretty in our brand new vehicle. Thanks Vinnie!!!!! I would like to first state that I had my guards up going into the dealership, only because you hear so many horror stories when it comes to salesmen in dealerships. But this dealership really knock that myth out the park. Thomas was amazing he didn’t try to sale us things we didn’t need, we told him what we wanted and he delivered. If you in the market for a Infiniti this is definitely the place to go you won’t regret it, believe me.. HAPPY OWNER OF A BRAND NEW QX60. Vinnie Moya - was great to work with. He listened to our needs & what we were trying to accomplish. After that he worked to get what we needed done & got back to us promptly & the deal was done in a matter of a few hours all over the phone. When we went to pick up our new truck, Vinnie had everything ready for us & it was a seamless process. We would highly recommend Vinnie Moya to anyone looking to buy or lease an Infiniti. I purchased a vehicle with Tom Horan. Such an easy going, professional man. Tom made the experience pain-free and seamless. Great personality! Extremely efficient. I will be sure to send future customers to Tom. YOU ROCK! Always have had a good experience with these folks and no different this time. Both Charles and Carmine took care of me. It is also great idea to deliver the car to my house. We got Range Rover velar from Cassidy at Ray Catena Jaguar Land Rover Edison and I can truly say this was our best experience. She is great, friendly and very helping. Before coming to this dealership We went to 3 other delaerships and experience was not that great. At Ray Catena Jaguar Land Rover Edison - Cassidy took very good care of us and gave us all the details and information for the car and lease program in detail. I will be very happy to reccomed everyone I know to Cassidy. We got Range Rover velar from Cassidy at Ray Catena Jaguar Land Rover Edison and I can truly say this was our best experience. She is great, friendly and very helping. Before could ming to this dealership We went to 3 other delaerships and experience was not that great. At Ray Catena Jaguar Land Rover Edison - Cassidy took very good care of us and gave us all the details and information for the car and lease program in detail. I will be very happy to reccomed everyone I know to Cassidy. My sales person was an professional. I walk in with my construction working clothes and he didn't think twice before coming talk to me. I had a great experience at Ray Catena Dealership in Edison. Everyone was great, and after a not-so-great experience with another dealership, the guys at Ray Catena really made a difference. I worked with Cole, and i am very happy with the service and overall experience. I bought a beautiful Range Rover from Ray Catena today. Stephen Christianson's service was excellent and he was very helpful. I was also able to get the trade in price i wanted for our Cadillac. No More Cadillac...Range Rover all the way! I'm no millionaire but the level of hospitality and respect that I received made us feel like one. Stephen was very knowledgeable about the vehicle and he made the transaction very smooth through text, phone calls and emails. This is our 2nd Land Rover with Ray Catena and we're looking forward to come back 3 years from today. Bernard is the best!! He listened to my needs and the whole process was quick and painless. At no time did I feel pressured or rushed. I appreciate his honesty and it was a pleasure working with him. I know now why Bernard is there 26 years. They are by far the best for customer service. Always willing to accommodate your needs. Excellent Service Excellent Employees.I was never excited going to have my car serviced but look forward bringing my car there. Joel(gm) , Alex, and Ed were great. They stepped in and helped out when an issue occurred. I was either texted or received a phone call each step of the way. Never disappointed when visiting Ray Catena, worth the wait, last visit they were being really great to a 98 years old gentleman, by the way they have great muffins while you wait. JUST HAD SERVICE DONE, GREAT SERVICE!!!!! Big thank you to Steve Morfino, my salesman at Ray Catena Lexus of Monmouth. I walked in by myself to test drive a hybrid (feeling confident but a little intimidated, I mean it is a car dealership)! However, I did my homework on pricing & colors and knew what I wanted for a trade. But, I didn't expect to have issues with my plates (not Ray Catena's issue). Not only was Steve easy to speak with but, also extremely accommodating - even when I kept inching the price lower and trying for a higher trade in. I believe I received the BEST deal on my 2016 Lexus 300h and it's BEAUTIFUL. Steve also worked hard to negotiate for me on my behalf to reach my ideal monthly payments....and helped me tremendously with a DMV issue with out of state plates. He didn't have to go out of his way, but he did and that is why my review is 5 stars. I've purchased cars at other NJ Lexus dealers and NEVER felt better about my purchase as I did with Ray Catena Lexus of Monmouth and from Steve Mofino. Kudos to you, Steve! You are great at what you do! Best car buying experience I’ve ever had. He process was easy and comfortable. I received excellent attention from stefano albanese, my salesperson. I m happy with my new car and feel I got a very fair deal. I was fortunate to end up with Stefano Albanese as my salesman. He is the consummate professional. Never pushy or aggressive, very polite. He is very knowledgeable about the Lexus products. He kept me informed by text, emails, and phone calls about the cars that I was interested in. He made the buying process (which I usually dread) smooth. He insured that everything was done perfectly. I ended up buying 2 certified Lexus (sedan and SUV) from this dealership in one week. Every employee that I came in contact with was polite, friendly, and helpful. Very large dealership with plenty to choose from and fair pricing. From start to finish, Steven Morfino went above and beyond to make my car experience at Lexus far above any other dealership. This is my third time going through a dealer, and Steven exceeded all of my expectations. Steven took the time to explain in detail the entire car and was able to answer all of my questions. He was extremely patient and followed up with me after my first meeting with him. I highly recommend Steven to anyone who is looking to buy or lease a Lexus. I am so happy with my purchase, that 2 weeks later, my mom is also using Steven and is thrilled with his professionalism. Lexus has a great reputation, and I will be using Steven in the future for my next car. Thank you so much! I had a wonderful experience purchasing my car from Lexus of Monmouth. Gretzky is a great sales consultant, he was able to help me choose the perfect car for me. The entire process from start to finish was extremely simple and transparent, there were no surprises. I never felt pressured even though it took me a few weeks to choose my car. Thank you Gretzky for your patience. I did visit other Lexus dealerships, however, the quality of inventory and level of sales/customer service did not satisfy me. I would recommend this dealership to anyone and I will be back to see Gretzky when I'm ready for a new car. This was my second car buying experience with Michael and this dealership. Exceptional service yet again. Michael isn't just trying to sell you any Lexus, he truly wants to find you the perfect fit and then help you get that car. I love that during my test drive, he shared in my excitement over the car and that means a lot to me. And when shopping around in the pre-owned inventory, Ray Catena White Plains has the best deals the tri-state area. The service center is superb as well. Comfy waiting area, complimentary coffee and food, and the strip mall is walking distance. I recommend Alan Honig for service. 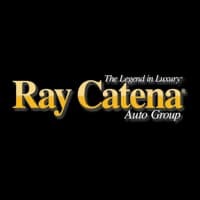 I can't express enough how great my car buying experiences are with Ray Catena White Plains. I highly recommend this dealership and salesperson! Shavaune is a extremely professional individual. He doesn't rush you , he was there to answer all my questions. I never felt pressured into purchasing my truck. I definitely would recommend Shavaune to my family and friends. I look forward to working with him in the future. Great working with Shackleford. Very informative. Had a great buying experience. Will definitely return for future purchases. I highly recommend Shackleford and the rest of sales staff. I was fortunate to have Silvia assist me in leasing a 2019 NX300 sport. She truly was amazing. Silvia took her time to make sure that I was comfortable and that this was the best vehicle for me. She was very thorough, knowledgable, and offered a lot of information that made me comfortable enough to lease with Ray Catena Lexus. The service that Silvia provided, put an end to my comtemplation. Excellent service. The service reps are terrific. Larry sold me my 7th ray catena vehicle. He is professional and skilled at matching customers’ needs and wants with available offerings at ray catena Maserati and Alfa Romeo. True sales professional who maintains communication with the customer even after the transaction. I’ve bought 15 cars in the past 20 years, at various dealerships and this experience is by far the best one ever! Max is awesome as a salesman and Kevin really made sure I knew all about my cars features before I left. Didn’t spend a ton of time at the dealership and everyone was super helpful and friendly. I will absolutely deal with these folks again! I bought an Alfa Romeo Stelvio. My sales consultant Gary Placona is a pro. His knowledge of the cars, leasing and all paper work were excellent. After delivery service also a great experience. The staff and the Manager Mr. Belina were true professionals. This dealership is the closet to were I live and happened to have the Alfa Romeo Stelvio Quardifoglio that I was looking for in stock. The sales and delivery process was painless! Larry and Kevin were great! I would definitely recommend this Alfa Romeo dealership! Very cooperative. They located the car I was looking for even though it was out of state. They delivered the car on time and with no problems. It was a pleasure dealing with everyone at Ray Catena Freehold. I truly believe that anyone serious about a car purchase should shop at this location . Salesperson Jessica Moreno was right on top of the list. Great dealership and staff. Very helpful during the sales process. Did a lot of online communication so I wasn’t sitting at the dealership for hours which was a plus! Only went in to sign papers and pick up my car! The car was derailed to perfection and I couldnt be happier! Tom Cola is the man! I made my deal by phone on a Friday, and picked up the vehicle on Saturday.It was a pleasure to work with Tom Cola, no pressure, no last minute surprises. I have bought & leased many vehicles in the past, and by far this was my best experience . This dealership is amazing and Jim Wichenski is a Class A salesman. Ray Catena dealership located in Union NJ is amazing experience. From the moment I walked in I felt comfortable and welcomed. All employees were friendly and professional, in few words very friendly atmosphere. I had a very knowledgeable salesman Lenny who helped me to make right choice. He was professional and very friendly, answered all my questions and make me to feel like home. Thanks Lenny. We just took delivery on a 2019 Mini Cooper Countryman and it was probably the best experience we have had with a dealer! With the help of our salesman Matt Lipstein, who was very patient with our slow moving process, we got a really good deal. Like all purchases you have to shop around... we found that other Mini dealers were charging $199 for glass etching, $200 more than Mini of Monmouth charges for documentation fee, and even $95 to detail the car... all non-negotiable. $95 to detail a brand new car?None of that with Mini of Monmouth... if you want a Mini these are the folks to see! This is my 4th Mini - all from Mini of Monmouth (and it’s not the closest dealership). I wouldn’t go anywhere else. They are always on point, putting customer service and satisfaction first - from the initial sale all the way through the last service appointment. Car comes back washed, waiting room is very comfortable and well stocked w/coffee etc, they really do go out of their way to make you feel special every time! The service team is a great asset to your organization with their knowledge and assistance on any issue we have had with our 2 mini coopers. From the time I called for emergency service, until the service was completed, Danielle was tops: knowledgable, efficient, pleasant. Thank you, Mini. As usual, a good job! Received excellent service from Danielle, she is always friendly and very professional, she keeps me informed and updates me on the current offers, and Kevin is always very nice and friendly. Easy scheduling, timely professional service and a comfortable well appointed waiting area. If you are a Mini fan there is of course always cool stuff to look at. My experiences at Mini of Westchester have been nothing short of amazing. My salesperson, Patrick Forman, is so generous with his time and makes himself available to discuss options and possibilities when either leasing or buying. (I have done both). I picked up my third Mini last week and it couldn't have been a smoother transition! Patrick had everything ready and within 30 minutes, we were done. I'm very grateful for his knowledge and expertise and his shared love of "motoring." Thanks, Patrick! Patrick Formans’ client service skills are stellar - perhaps the best I’ve experienced. He was very knowledgeable and responsive through out the process. He provided appropriate options focused on details relevant to my needs. Overall I had an excellent experience from the time I walked into the dealership, test drove some options to closing on the deal. I highly recommend this place if you are in the market for a mini. Thanks Patrick! I had a Mini for 7 years, but once it died on me, I foolishly decided to get a Chevy. Big mistake. You will never get the top-notch level of customer service that you get a Mini of Westchester. The patience, kindess, and genuine desire that the team has for customers to leave with a car makes this dealership and car buying experience so positive. It starts at the top with the GM, Mr. D. What a guy! Once I expressed interest in another Mini, he immediately connected me with the Mini Manager, Clinton, who by the way, is one of the coolest car folks ever. Clinton put me in contact with Rob F., who is equally as awesome. Long story short, I had an issue ending my relationship with Chevy-they would NOT let me pay what was owed on the car. I couldn’t believe it! They ran me around for months, and Clinton and Rob were completely understanding and sympathetic with me for the duration of that debacle. When it finally came to an end, Clinton and Rob worked quickly to get me into the exact car I wanted for a price that was beyond fair and within my budget. I am so grateful for all of their efforts, and I highly recommend this team to anyone in the market for a Mini. Consumers should not go anywhere else. Clinton and Rob, thank you a million times over. A+++ Experience! I had a Mini for 7 years, but once it died on me, I foolishly decided to get a Chevy. Big mistake. You will never get the top-notch level of customer service that you get a Mini of Westchester. The patience, kindess, and genuine desire that the team has for customers to leave with a car makes this dealership and car buying experience so positive. It starts at the top with the GM, Mr. D. What a guy! Once I expressed interest in another Mini, he immediately connected me with the Mini Manager, Clinton, who by the way, is one of the coolest car folks ever. Clinton put me in contact with Rob F., who is equally as awesome. Long story short, I had an issue ending my relationship with Chevy-they would NOT let me pay what was owed on the car. I couldn't believe it! They ran me around for months, and Clinton and Rob were completely understanding and sympathetic with me for the duration of that debacle. When it finally came to an end, Clinton and Rob worked quickly to get me into the exact car I wanted for a price that was beyond fair and within my budget. I am so grateful for all of their efforts, and I highly recommend this team to anyone in the market for a Mini. Consumers should not go anywhere else. Clinton and Rob, thank you a million times over. A+++ Experience! Robert, our salesman was very helpful and informative. He was very friendly and easy going. He made us feel very comfortable with our purchase, and gave us a great price. Overall the buying experience was easy, and enjoyable. Would definitely recommend this dealership to anyone. I've leased a 2013, 2016 and now a 2019 Mini Cooper all from Patrick Forman at MINI of Westchester. I've continued to come back because I trust Patrick and he always makes the process smooth and easy. My Audi S-5 was showing low pressure in one of my tires, I couldn't get the caps off to check the pressure. I went to the Audi/Porsche dealership in Toms River without an appointment to see what could be done. They took me right away, fixed the issue within the hour, washed my car and left me with a "gift bag" with a energy bar, water, tissues, hand sanitizer and mints and NO CHARGE... What!!!! This is awesome, the service department couldn't have been nicer, faster or more informative. I love Ray Catena Audi/Porsche of Toms River. I have purchased many cars from the Ray Catena Auto Group, and this experience is the example way. I ordered a car for my wife some months ago. While we were waiting, our salesman Mike kept us informed throughout the entire process so we were never left guessing. When it came time to pick up the car, he made the experience very special for my wife. His manager Pat was also very involved in assisting me throughout the entire process. They even went as far as to introduce us to Rob, who our service advisor would be, and he took time out of his day to sit down and speak with us. This is why I will always be a Ray Catena Customer. I had a great experience at Toms River Porsche. Mark, Laura and Mike we're all extremely helpful and pleasant. I am very pleased with my purchase and the level of professionalism at this location. I would highly recommend Mark as a sales person. Got 911S keys programed, an easy job..No wait and a well informed advisor too! Car was returned very clean better(?) than I keep my a 911S! The glass done inside and out, impressive... Got parts information for future maintenance. And cleared questions on an Audi recall- to be done in a few weeks. Rob D' Andrea is quite personable and also knows Audi, so it was a win-win. Chad Lorenzo covered the new Audi models coming up in Autumn. BTW- got some work done too, for next week. Chad Lorenzo was a dynamic, thoughtful, and conscientious salesperson. He went above and beyond to make sure that our Porsche experience was exceptional. The dealership is clean, friendly, and well-managed. We will definitely service our Porsche there and purchase a Porsche there again in the future. Highly recommend! This was my first experience with the Ray Catena dealership in Toms River. Chad Lorenzo was knowledgeable, professional and patient with all my questions. I actually work in close proximity to two other Porsche dealerships; being a past Ray Catena client I have high expectations and Chad met those expectations. Working with Chad was a pleasure. Barry Martin and Doug Wells were tremendous. Low hassle and they took care of virtually everything - and I was buying from out of state so they arranged delivery and registration/plates in my home state as well! Couldn’t be happier! Tom Cola was very helpful and was a pleasure to work with! He was very informative, honest and he made everything seamless! I highly recommend working with Tom. He is a true professional! I was confused on what to buy till I met Barry who was incredible hospitable and flexible and understood by needs. I would work with Barry again in the future. Worked with Michael Migliore and received nothing but excellent service. Always goes above and beyond to make sure that my wife and I are satisfied with our cars. Also accommodates my schedule and makes it happen. This is my second lease from Ray Catena and was very satisfied with the overall experience. Vincent was exceptional and very helpful throughout the whole process. He constantly stayed in touch with me and kept me updated. I actually leased my previous Benz from a different dealership, but came back because of Vincent. He is the BEST. Keep up the good work Vince and make your Dad proud. I had the pleasure of working with Mike Zaintz and can honestly say: Never felt pressured. He answered questions thoroughly. Paid close attention to my wish list. Always in touch, even on his day off (sorry Mike). All to find MY custom vehicle, tucked away in a Baltimore port. Love the car, Thanks Mike. Worked with Michael Zaintz to lease a new Jaguar. Michael was extremely knowledgable and courtesy, Overall process was very efficient with no sales pressure. Thanks! Sales gentleman, Michael Zaintz and Manager were extremely helpful. Michael helped us to order the vehicle and explained every step of it and able help us to select necessary features. Once order was placed for the vehicle, Michael followed up with email to let us know about progress and approximate date of delivery. Once the vehicle came to dealership Michael went through the vehicle operations in detail before taking possession of the truck. I would very much recommend Michael and the dealership to our friends. I purchased a SVR special purchase. The service was great and received a great financing plan. Everything was very accommodating and friendly. They all knew my first name and went out of their way to shake my hand. I am very happy. Mike was great. I threw a number of scenarios at him and then changed it up a few times more. A few weeks later and we found the perfect car for me! I appreciated his follow through, candidness and the ease in which he was able to help me navigate through the full exploration and purchase experience! Frank was a pleasure to work with. He answered all my questions he was kind informative. He had everything prepated for the purcase, he gave a complete tutorial and explaining all rover details. It was a seemless stressless experience. Frank is anazing! Simply th best! Absolutely the greatest experience I ever had buying or leasing a car!!!!!! Mike was a pleasure to work with. I will definitely recommend Mike to anyone interested in this dealership!!! Mike laPani is an amazing sales rep. I would never go anyway else!!! Also the new Ray Catenea dealership in marlboro is beautiful. I’m loving my new Ramge Rover sport!! Another beautiful Ray Catina showroom and service that compliments that environment. My sales professional Jesse Embry had me at “hello” as he was knowledgeable, helpful and exhibited those soft skills that made my experience and ultimate lease of a new vehicle enjoyable and not as is often the case stressful and pressure filled. Ray Carina should clone Jesse as he truly understands the Ray Catina brand and what customer service is all about. We couldn’t be more please! My salesperson was very professional and knowledgeable about their fleet of cars. He listened, REALLY LISTENED, to my needs and worked to meet them. When I showed up to take delivery, I was very impressed with the professionalism of every staff member involved. They were courteous, professional and patient to ensure my buying experience was exceptional. Ray, you knocked it out of the park with this staff and New location! Fantastic dealership that services my jaguar. They have always done a great job and I'm thrilled I don't have to drive so far to get service done. Always a quick appointment when needed.